Next up on the Cartoon Action Hour is Punk Rock Saves the World, stretch goal for the CAH Kickstarter written by my dear friend, Matt Forbeck. Here’s the cover as a tasty tease for it. Though not exactly a Kickstarter, this is in the same ballpark. It’s all about helping Ross Watson, myself, Carinn, and the rest of our family get moved to Denver, Colorado. There are lots of important and excellent reasons we are doing this (not the least of which is getting access to needed health care). At the same time, there are some pretty cool gaming rewards ponied up as thanks for your support. Please check out the Big Denver Adventure GoFundMe page and see if there’s a level you like. We greatly appreciate the support! KS News: Reading Rainbow Returns! I can’t imagine there is a single reader of this that doesn’t understand its importance to gaming culture. You go, LeVar. You go get `em reading! 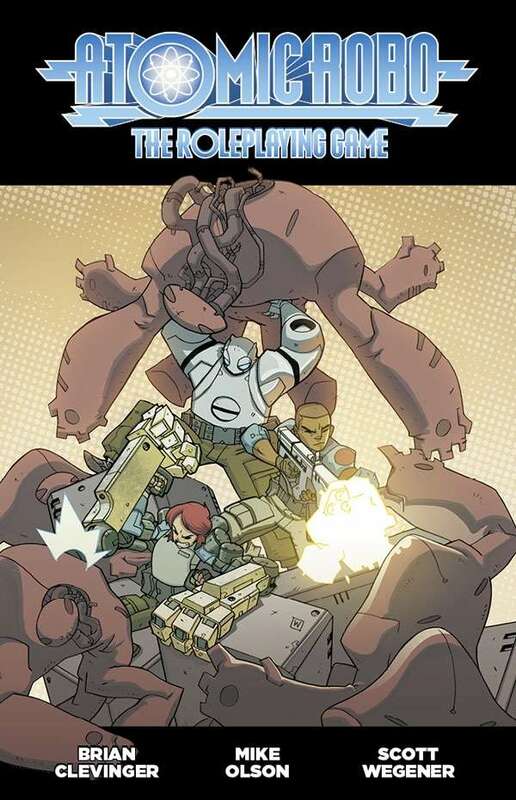 Based on the Atomic Robo comics by Brian Clevinger and Scott Wegener, this is the FATE Core RPG you want – you need! – in order to fight the good fight against the terrors of a world gone mad at the hands of those who would abuse Sacred Science. 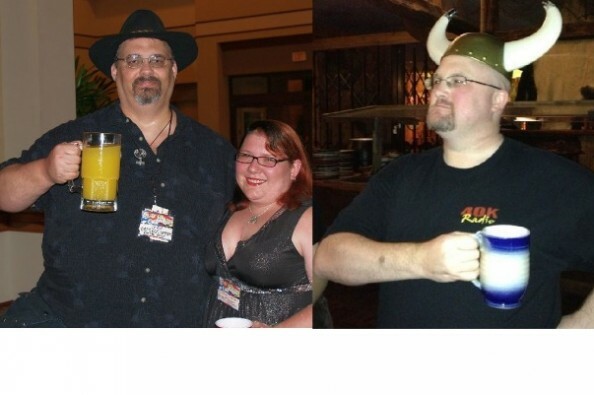 My friend and colleague, the exceptionally talented and insightful Ross Watson (aka Rogue Warden) has a new post up on his own developing site, this one detailing his experiences at this year’s Comicpalooza in Houston, TX. There are three gamery Kickstarters I’d like to draw your attention to. 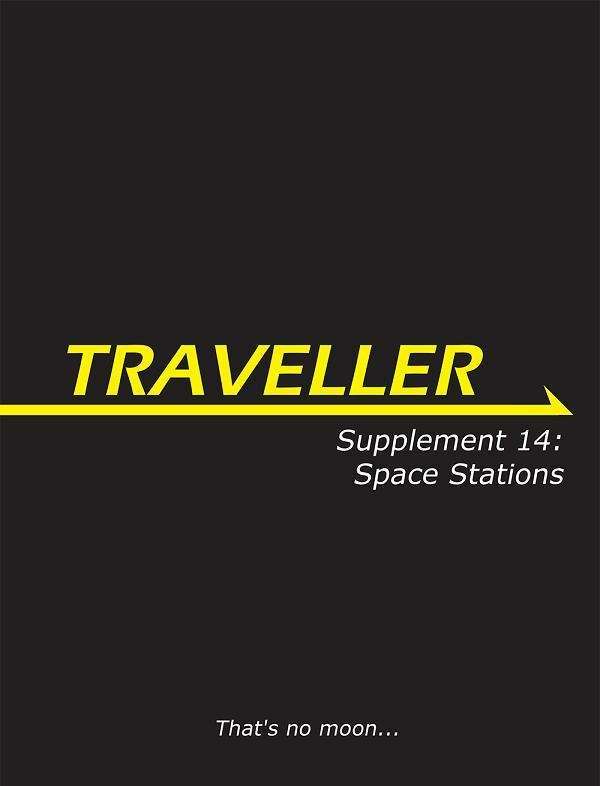 If you’re running Traveller (0r any far-flung science fiction gaming, for that matter), you probably need space stations. For, you know, landing. And refueling. And back-stabbery adventure filled with danger and the ever-looming threat of explosive decompression. The long-awaited Supplement 14: Space Stations has you covered, with fantastic and believable rules for designing and constructing space stations of all sizes and needs, as well as plenty of adventure hooks and sample stations. 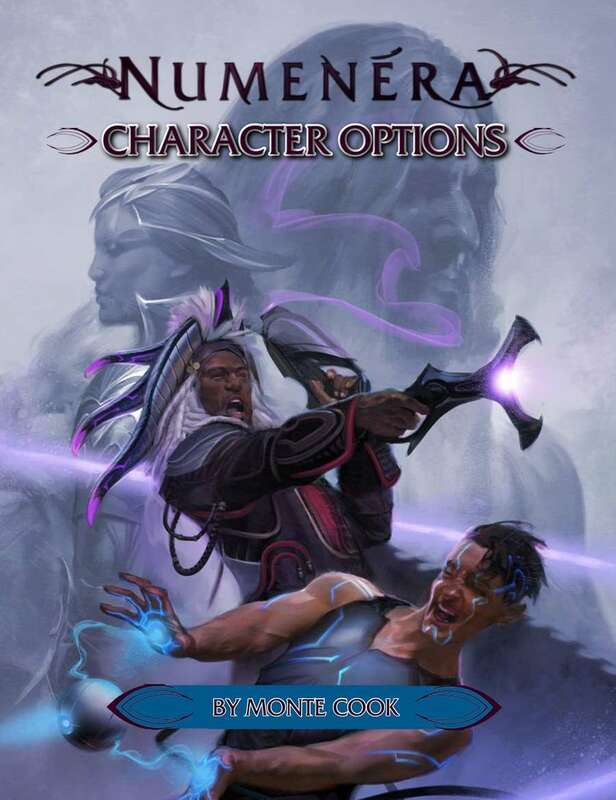 For all those wanting to play were-somethings, whether from being bitten or born that way, Robert Hudson, Jr. and Misfit Studios have put out the definitive Pathfinder source book for it. Bite Me! 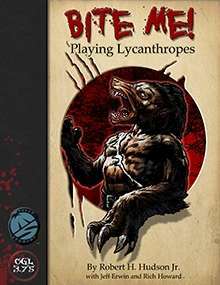 Playing Lycanthropes is about as thorough a treatment as you’re ever going to find on the subject. — The “bachelor party” event turned out to be an ad hoc game of FATE Accelerated, run by the best man Randy Oest, hosted at Daryl Putman’s house, and featuring Daryl as Ferris Bueller, Carinn as Velma Dinkley, the groom-to-be, Eric, as Swamp Thing, and yours truly as Jack Burton, somewhere in a version of hell run by Charles in Charge, trying to rescue the Ghost Busters. It was… awesome. More on FATE Accelerated later. — Shaintar stalwart Rich Brown treated us to traditional Memorial Day grilled burgers and dogs; a rousing session of Sentinels of the Multiverse (will have to discuss this game on another BIV) followed. I am thrilled to discover he is joining the ranks of the Grey Lanterns and plans to run additional Shaintar: Justice and Life games at Gen Con! — Had to change some files, somehow the ability to buy print versions got shut off. It’s back on now, so they can be purchased again. — I will have “Moment of Glory” promo cards available to hand out, starting at Cleveland Concoction this coming weekend. Come ask me for one at a con when you see me! — I agree with most of the great commentary already out there. Nicely done, excellent tie-together of the older stuff and the new, with the perfect launch point to go forward. Also, it wasn’t any one single character’s show – a serious effort to craft and execute an ensemble happened here, and Wolverine ~didn’t~ feature as the Do It All Hero, the Rest Are My Sidekicks. — If you didn’t stay for the after-credits… wow. — Having never played FATE before, I was very pleased when Randy offered to run an ad hoc game for us. I was even more pleased to discover just how EASY a task that was with the rules in question. — Less stressful, more interactive narrative, much easier to grasp than anticipated. — Possible one of the more perfect system for exactly the situation we were in. — Still love Savage Worlds and remain loyal to it for the experience I tend to favor for most games. — I am going to have to explore FATE much further and more deeply, now. I see its influence in Storium – a good thing, I realize – and I see its appeal for a lot of situations. I really would like to play some more, I believe. — Running the next phase of the Thundering Skies Saga at the show. — Gene “Rod” Roddenberry is the Guest of Honor, and a ton of other amazing stuff happening! — After a lot of encouragement from various sources, I decided to launch a full site dedicated to aggregating my Picks of the Day, the Big Irish Vlog, and other useful and fun bits of news and interest for RPG fans. — Darryl Mott, Jr. of “Ain’t It Cool News” and “Gamers Tavern” fame graciously set up the pages to act as the server for it. Michael and Gayle Reick helped me get the tech stuff settled for it.